The test firing of the heavy rocket launcher’s new ammunition. Credit: Finnish Defence Forces. 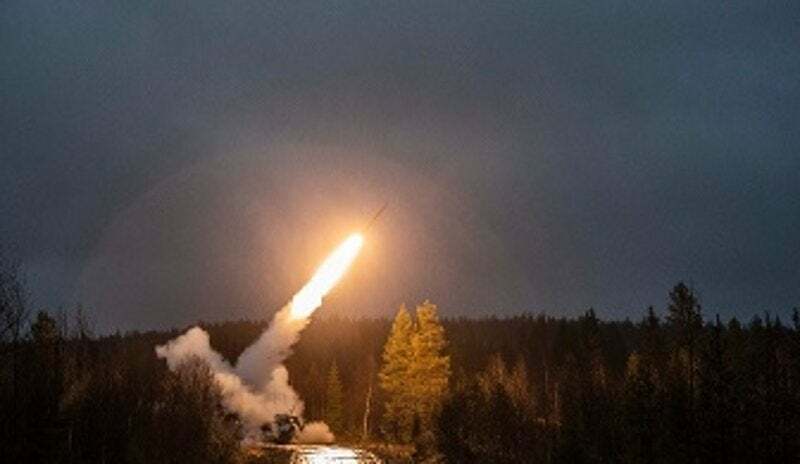 The Finnish Army has conducted testing of the guided multiple launch rocket system alternative warhead’s (GMLRS AW) new ammunition in Rovajärvi training exercise area, Lapland, Finland. The test firing was conducted to validate the new ammunition’s long-range capability and precision. During testing, the heavy rocket launcher’s ammunition demonstrated the desired capability requirements, increasing the Finnish Defence Forces’ sustained readiness for long-range fires. In 2016, Finland Defence Minister Jussi Niinistö approved a proposal to procure munition for a heavy rocket launcher system under a foreign military sale from the US. The munition procurement was for both GMLRS AW to engage area targets and for GMLRS UNITARY for precision fire. The GMLRS ammunition and heavy rocket launcher system are manufactured by Lockheed Martin. Each rocket is packaged in a multiple launch pod and is fired from the launcher, with a range of approximately 80km. Last month, the Finnish Defence Forces’ Logistics Command received a mandate to conclude a contract with the US Government to procure upgrade kits of the Universal Fire Control System (UFCS). The upgrade kits will allow using new munitions with the heavy rocket launcher. The Finnish heavy rocket launcher system was procured in 2006.